Unlike Facebook, Twitter or YouTube LinkedIn is not blocked in China. 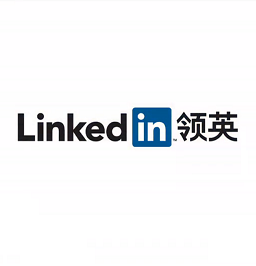 After a recent joint venture with Wechat, LinkedIn just stared its aggressive expansion in to the Mainland Chinese market. This joint venture with Wechat means people can share their Wechat ID on LinkedIn and integrate LinkedIn on their Wechat. But does a business-oriented social networking service fit with a personal mobile messaging and socialising app？ That’s a tough question on which all marketers want to know the answer. One of the biggest benefits of having a joint venture for LinkedIn is access to a massive number of smartphone users. Wechat is the No.1 instant messaging app in China with over 400 million users. Even thought there are several local professional network websites in China, such as Dajie, having close ties with Wechat is probably the best way to access a huge amount of users within a short period of time. However, the key purpose of using Wechat is socialising with friends. People send text messages, voice messages, upload statuses and the ever popular selfie (can I get a #). Some people prefer not to mix their personal life with their professional life, do you really want your boss on your Facebook? Chinese Wechat users might be reluctant to integrate their LinkedIn profile with their Wechat account meaning LinkedIn still has a long way to go to figure out how to leverage its success from the West to its push into China.